Led is very energy efficient and consumes 90% less energy than incandescent lamps. Since LED uses only a small portion of the energy of incandescent lamps, the cost of electricity has dropped dramatically. In addition, due to the long life of the LED, maintenance and replacement costs are saved. Although led has higher initial costs than incandescent and compact fluorescent lamps, over time, costs are quickly compensated for in lower power costs. 1. 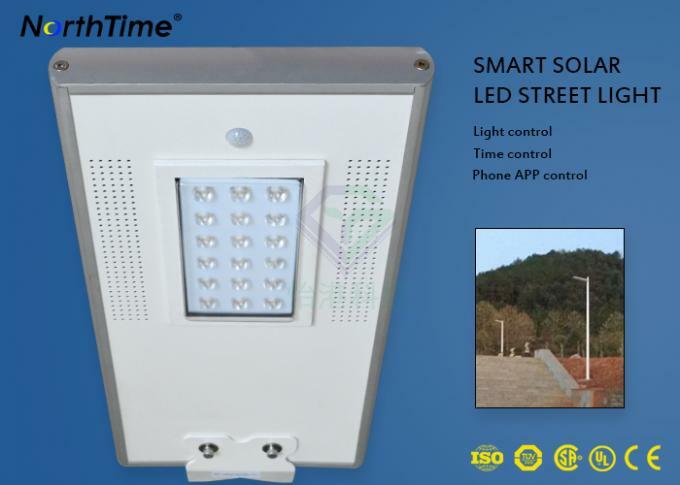 Manufacturer of integrated solar street lights for 10 years , "Guangzhou YIGANG Eco-Technology". 2.Taken active part with Chinese new rural construction,cooperated with many constructors for theirgovernment project. 3. 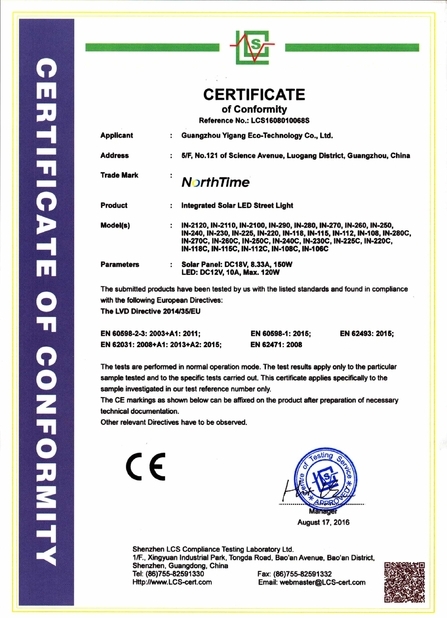 High quality with CE,RoSH,IP65 and IES certificates,the factory passed ISO9001. 4. Powerful R&D ability----Update new products constantly, different series can meet different demands of clients from global world. 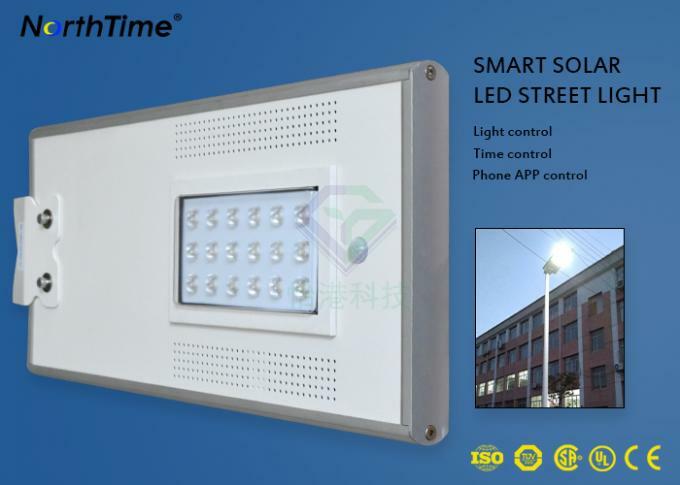 Yigang's full-featured solar street light system is the perfect combination of solar photovoltaic power generation and LED lighting, which can illuminate the world without generating any carbon dioxide emissions. The risk of contamination of lithium batteries is much lower than that of traditional lead-acid batteries. 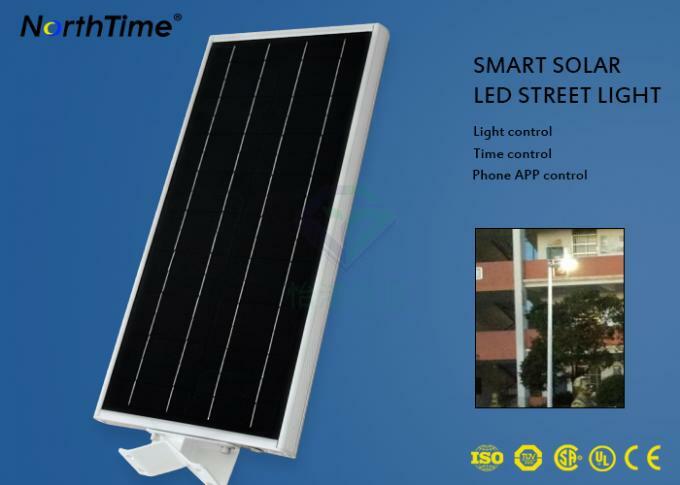 The total circuit length of the integrated design is only 1/10 of the length of a conventional solar street light. The integrated design increases system efficiency by reducing most of the line losses. 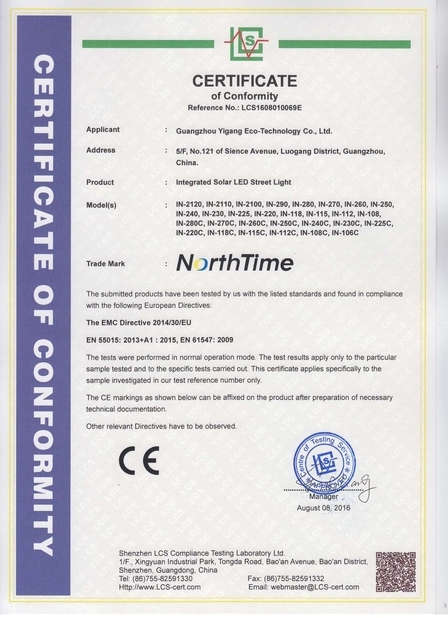 The high-efficiency Bridgelux LED chip of Yigang products has excellent characteristics such as high brightness, high current resistance, high temperature resistance and antistatic. The luminous efficiency of Yigang products can reach 110lm/W. The monorail solar photovoltaics of the Yigang brand are 25% more efficient than their competitors. Integrated and lightweight design, wireless and battery-free vaults significantly reduce installation costs and pole costs. The dustproof and waterproof rating is IP65. At the same time, the main material of lightweight materials is anti-corrosion aluminum alloy. System life 20 years: solar photovoltaic - 25 years, LED - 50000 hours (more than 20 years, lithium battery - 5 years (replace the battery every 5 years). 1. 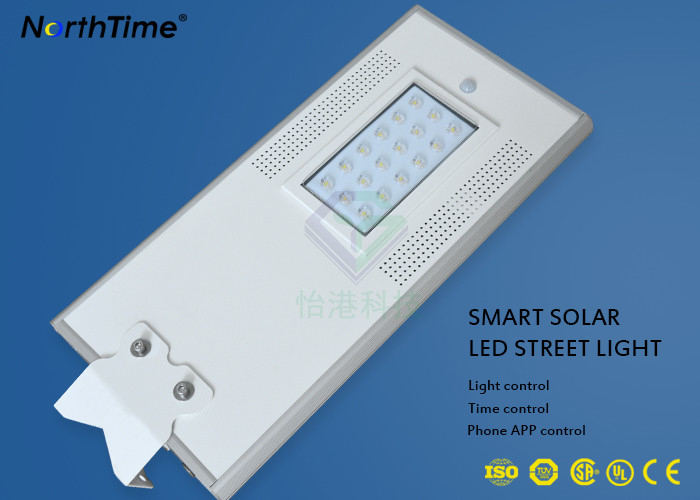 Your enquiry is related to solar street light or price, we will reply you within 24 hours. 2. Trained and experienced staff answer all your questions in fluent English. 4. The monthly output is more than 10,000 units. 5. Small batch sample ordering is acceptable.